Saturday night I drove to Thousand Oaks to bartend a birthday party. The weather is getting cooler in Southern California and it is time to start moving inside – I do probably 90 percent of my events outside, so it is always kind of strange when I setup inside a house. In this case, I setup my portable bar and table in the corner of the dining room. I had worked with the host to come up with a drink menu and shopping list. They wanted to have Moscow Mules and spicy jalapeno margaritas. I made the spicy jalapeno margarita mix at home with fresh ingredients. I use fresh squeezed lime juice, agave nectar, and jalapenos. The mix has a real kick to it and it has been a hit at several parties, and it was a hit at this one. The hosts had visited Cuba and they had a genuine bottle of Cuban rum and that was a hit also. They only had Diet Coke, which some people don’t like, so I made a Blanco Libre – which is Cuban rum, Sprite, a dash of bitters and lime garnish. That was popular enough that I used the whole bottle of rum. 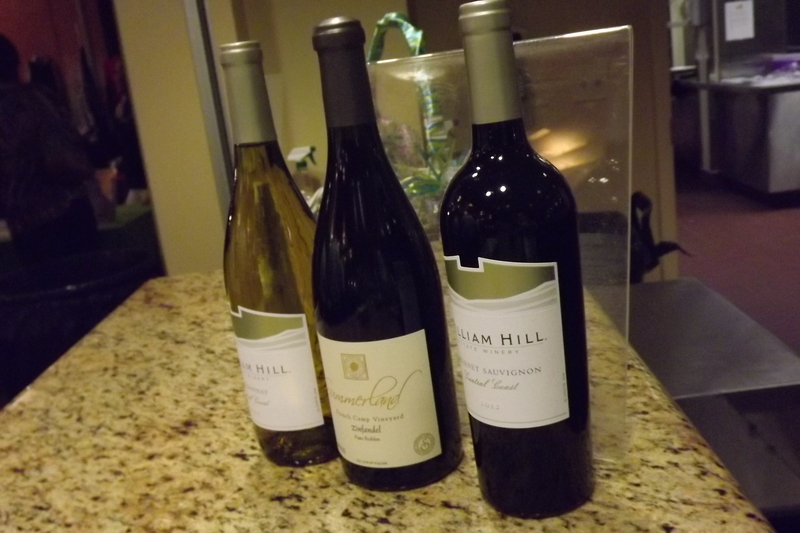 They also had some very nice wines, including a Fess Parker Melange Blanc. I remember we used to serve that at a restaurant I worked at and it is an excellent white wine. For entertainment, they had a mechanical bull set up outside. I have tried to ride those before with very little luck. I have tried to ride real bulls back in Wyoming when I was in high school, also with very little luck. I remember it was like being kicked in the crotch several times in quick succession, then landing on your head. My cowboy days are over. I was telling one of the guests there is a movie about it called “Urban Cowboy,” and she had never heard of it. That was one of the biggest movies at the time it came out. They also had a taco caterer at the party, but I didn’t get their card. This is Thanksgiving week and I don’t have much scheduled – I am taking Thanksgiving off to spend it with family. I may be doing a party in La Jolla on Saturday. Next month, of course will be the busiest month for Shaken Not Stirred. I have several parties already booked all over Los Angeles. New Year’s Eve is still open – so book it quickly is you want it. This week Shaken Not Stirred provided bartending service at two different corporate events for a tech company in Venice Beach. I did an event there last year and was delighted that they booked me again this year. This time, I did one smaller event on Wednesday night for around 40 people, and then on Thursday I brought a staff of four to serve cocktails o 250 people. For the smaller event I worked with the coordinator to come up with unique drink menu. They chose the Pisco Sour and the Paloma as the specialty drinks. I didn’t think about it at the time, but the drinks are kind of similar. Pisco is a grape liqueur, but tastes more similar to tequila than to vodka, for instance. Then, both drinks have a similar sweet/sour thing going on. The Pisco Sour is a classic South American cocktail, that many people haven’t tried, so I always like serving. The company hired a “succulent bar” as part of the event. The succulent bar has different pots, different varieties of live succulents, dirt, and other plants to accentuate the chosen succulent The coordinator told me how much they paid for the succulent bar and I couldn’t believe it. I guess I am in the wrong business. I also couldn’t believe how excited the guests were about the succulent. I was standing there behind the bar twiddling my thumbs while all the guests were at the succulent bar. These millennials are quite different than my generation, who would have been three drinks in already. The guests eventually made it to the bar. I’m sorry I forget a business card for the succulent bar. Komodo Food brought their truck into the lot and provided the catering. The second night was the big event. Last year we scrambled making the specialty cocktails one at a time. This year I brought my drink dispensers and premixed the cocktails, which maked serving large groups a breeze. The line moves so much faster. My mom was here visiting from Montana and she went to the event with me, as she did last year. She is very outgoing and helped pour wine. The guests seemed to love her, though I was a bit embarrassed, because she tells anyone who will listen her life story…Weekend Celebrity provided the live entertainment, and this is the second time I’ve seen them on a gig, and they are very good. I highly recommend them. Dave’s Catering did the food, which unfortunately I didn’t have a chance to sample, but it looked good. This weekend I have one event in Thousand Oaks on Saturday and then next week is Thanksgiving. I could have taken a job on Thanksgiving, but I am done doing that. I own my own business now and I don’t work on Thanksgiving. That is a day for gratitude. Next month there will be plenty of work. Saturday I returned to my old home, Hermosa Beach to bartend a 30th birthday party. I just love Hermosa Beach and it is by far the best place to live in Los Angeles County- if you can afford to live there and don’t have to commute to the rest of the city. It is a little difficult to get in and out of, if you have to drive back and forth to LA. It is also a fantastic place to live if you are in your twenties, or just turning 30. The birthday boy’s wife hired me to bartend the party and we came up with a drink menu and shopping list together. I made Moscow Mules and Old Fashioneds. I keep making those drinks over and over again at parties, but they are very popular right now. An Old Fashioned is a very strong drink, and maybe that is why it is called an Old Fashioned. Strength is not often in style now days. Anyway, the guests seemed to like them. I set up my portable bar in the backyard and The Taco Guy Catering set up across from me. This is the way it goes at most of these birthday parties – the hosts hire a bartender and a caterer so that they can enjoy themselves without having to run around serving everyone. I try to be of maximum service at every event I do so that the hosts can actually enjoy themselves and not have to worrry about the bar. This week I have two corporate events at a company in Venice. I did an event for them last year with over two hundred guests and it went very well. I will be serving Pisco sours at one of the events and it is always fun making those. This weekend I will travel to Thousand Oaks to bartend a birthday party. Next week is Thanksgiving week and I had inquires about bartending jobs, but I am spending that day with family. Next month will be very busy with tons of holiday parties and many of them are on the weekdays. Happy holidays! 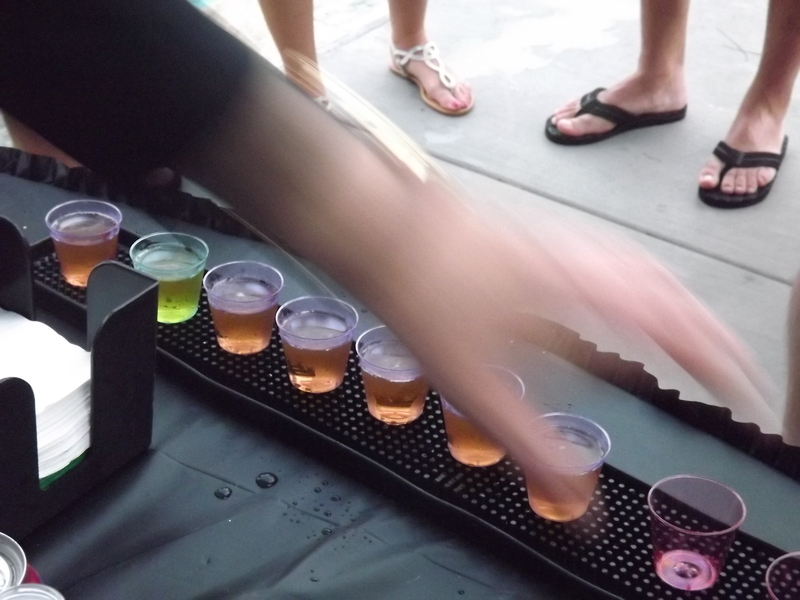 On Saturday, Shaken Not Stirred traveled to Agoura Hills to bartend a 40th birthday party and casino night. The host had really done the house up right for the event and they had two blackjack tables, a craps table and Texas Hold em’ poker. They really had the house set up like an illicit private casino. This was all in fun, of course, because the guests weren’t gambling for real money. The home at a built in bar, that the host said they never used. I made myself at home behind the bar and I served Moscow Mules, Kentucky Mules, Lemon Drops, and Cosmos. There were over fifty guests and I kept pretty busy for awhile. 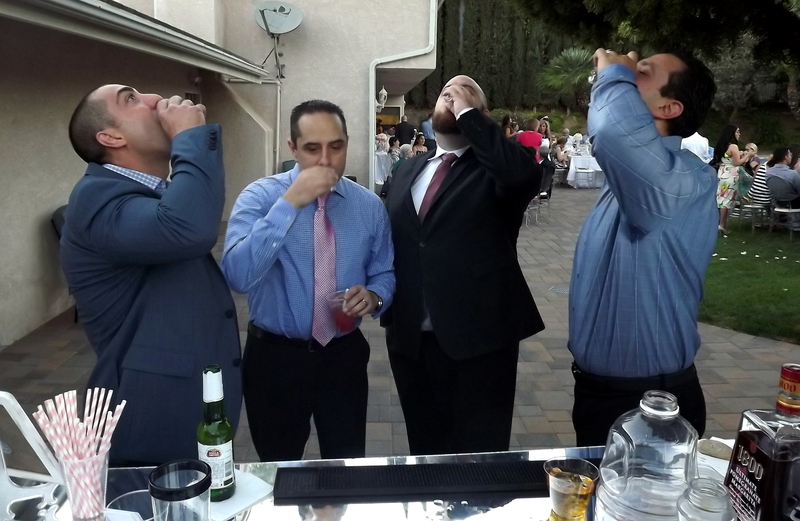 The guests were having a great time at the tables, and when I could I went around Vegas style to tables taking drink orders. The food provided for this 40th birthday party was traditional middle eastern cuisine, including shish kabobs, hummus and other favorites. I did not get the name of the caterer. 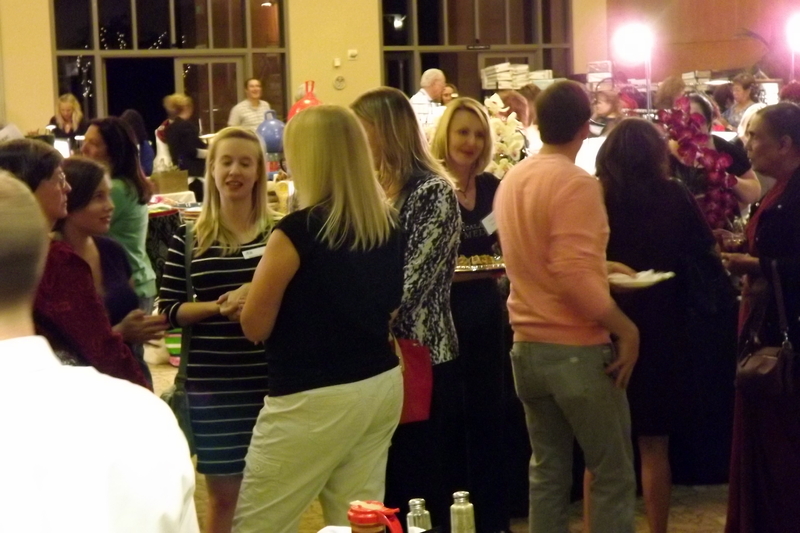 California Casino Company of Thousand Oaks provided the dealers and casino tables. Pandora, I believe provided the music. Of course, all casino nights usually include music from the Rat Pack, including classics by Sinatra, Tony Bennett, and Dean Martin. I was thinking that these songs, like “All or Nothing at All,” “I’ve Got You Under my Skin,” have been recycled thousands of times at Italian Restaurants, Casinos, and parties. All of those songs that were recorded in the sixties, and there is nothing new like them coming out now. All of the great song writers must be dead. March was slow for Shaken Not Stirred, but things are looking up in April. I have a wedding this weekend in Camarillo, that kicks off the Spring wedding season. Then I have three back to back events in Downtown LA, then the following weekend I am off to La Quinta to bartend two weddings. I have had many calls for graduation parties in May, and am having to farm some of them out. If I can’t do a job myself, I will do my best to refer another bartender I trust, or send one of my other qualified bartenders out. Saturday night Shaken Not Stirred mobile bartending service traveled to Long Beach to bartend a 60th birthday party for a repeat customer. I took another bartender/server with me, and she had worked a previous party at the same location. A year earlier, I had fallen halfway into the pool at a previous party, and many of the guests didn’t let me forget about it. This time, there were nearly 100 guests and my helper and I had our work cut out for us. The host prepares very well for her guests, and we had quite a well stocked bar to work with. We had five kinds of beer, red and white wine, and a full array of liquor. The host received a Maragaritaville margarita maker as a gift and she wanted to use it at the party. I have used one before, but couldn’t remember how to use it. Luckily, my assistant knows how to read directions and we figured it out. 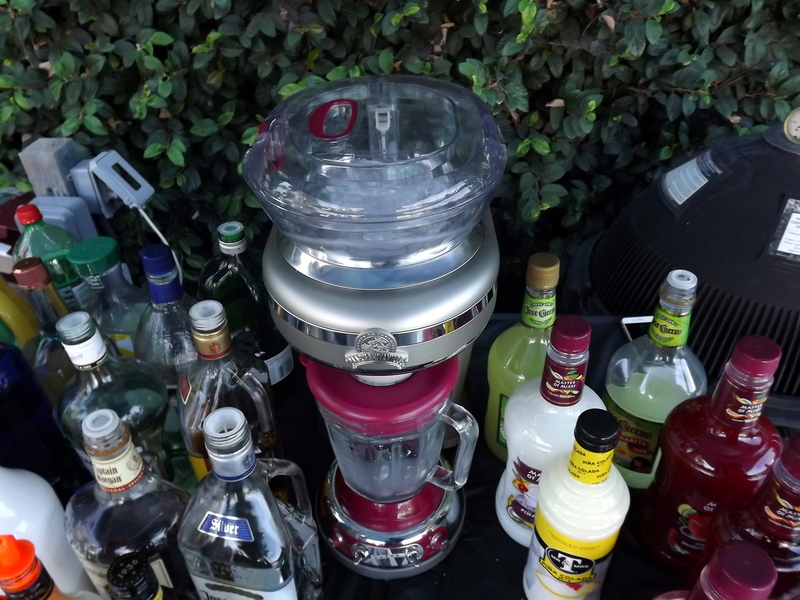 We made blended margaritas, daquiries, and pina colladas with the machine. As the night went on we served many shots, including Patron shots, fireball shots, Jaeger shots, and vodka. A few people “fell” into the pool, but fortunately this time I didn’t. Falling into the pool becomes an inexpensive proposition when most people are carrying $400 I-phones. It was a pretty fun group of people, and one of the guests may book a party with me next month in Thousand Oaks. Next week, I will be doing a large wedding in Malibu, then I have a rooftop birthday party scheduled in Marina Dell Rey later in the month, and a wedding in Hesperia. As I said before, the summer is slipping away. I still have some dates available, and always am available on the weekdays and nights to bartend corporate events. If you have a need for a bartender last minute, don’t hesitate to call me. I am tired today after two events this weekend, but if somebody calls me today, I will go out. Somebody called me yesterday last minute because their bartender cancelled, and I was unable to help her, but sometimes I can, will be happy to do so. 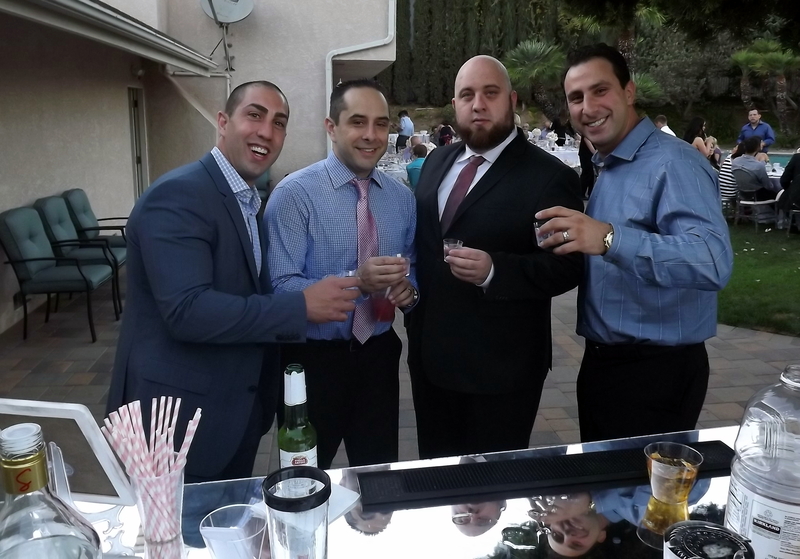 Shaken Not Stirred mobile bartending service covers the entire Southern California region. The Westlake Village Junior Women’s Club held their annual fundraiser boutique at St. Maixilmilian Kolbe Church in Oak Park. 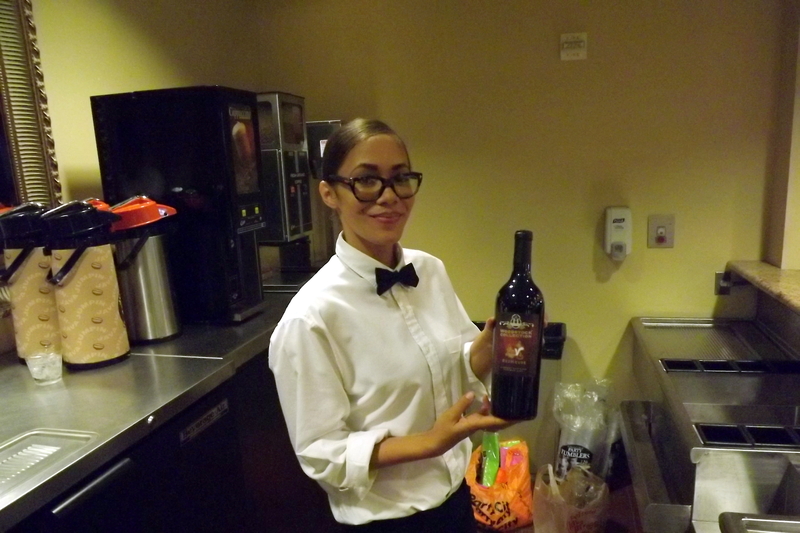 Shaken Not Stirred provided bartenders and served wine to approximately 400 guests. The church has a very nice event space where dozens of vendors set up shop for the “Gingerbread Boutique” that serves as a fundraiser for the women’s group and kicks off the holiday shopping season. We served over seven cases of wine during the four hour period. We were serving Zinfindel, Cabernet, and Chardonay. I recommended two bartenders to the host because there were over two hundred guests. As it turned out, I think I could have handled it myself because the guests filtered in over the course of the night. There was never a line of people waiting to be served. We steadily served people during the four hour period. Stonefire Grill of Thousand Oaks provided the catering and they had some very interesting and tasty food, including a cauliflower salad that was just excellent. I have done several of these events and hope to more of them as the holiday season progresses. I love bartending events on weekdays. I have one office party scheduled on a Wednesday in Palm Springs next month. Hopefully I can book something else in that area on Tuesday or Thursday that same week. Shaken Not Stirred provides bartenders and servers for fundraisers, office parties, corporate events, and openings, among other events. Tonight I am traveling to Woodland Hills to bartend a birthday party. I will be serving Lemon Drops, Cucumber martinis, and classic martinis. I really like a making martinis and am pretty good at it. I really like using real martini glasses as well, which I will be doing tonight. Next weekend I am bartending a 21st birthday party at a loft in downtown Los Angeles, which should be interesting. If you are planning a holiday party and have not yet booked a bartender – don’t wait. Contact me today and put down a small deposit. I will hold the date for you. 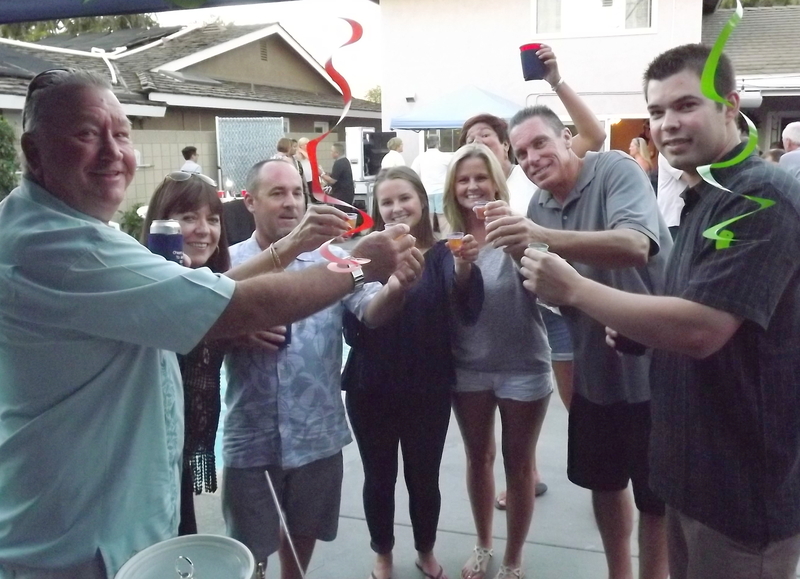 Sunday night, Shaken Not Stirred provided bartending services for the third time in the weekend at a Christening party at a home in Porter Ranch. I never know what to expect when I show up to an event. I have to assume that people are going to drink a lot and I am going to be very busy for seven hours straight and I have to prepare for that. There were over 100 people at this party and I was working by myself, so I had the potential to be very busy. I did have an initial rush of people at the beginning and was steadily busy for awhile, then it dropped off. This was a Sunday party. People have events and they serve alcohol. Most people drink responsibly and not all parties are huge blow outs, where we have to go for more booze. This was a very mellow event on a Sunday night and I must say was just what I needed to end up a busy weekend. Somebody asked me how my night was going and I said “perfect”. I mean, who can complain when you are listening to good music, seeing and meeting beautiful people who are all dressed up, making money, and eating wonderful food? Not me.
. The Chicken Marsala they served at the party was out of this world, it was so tender. They also had lasagna which was very good and pasta salad and veggies. I highly recommend them, if you are having a party anywhere in the San Fernando or Conejo Valleys. I served a case of Prosecco, and had to pour half of the last bottle out at the end of the night. That is what I call a successful party. We had just enough. 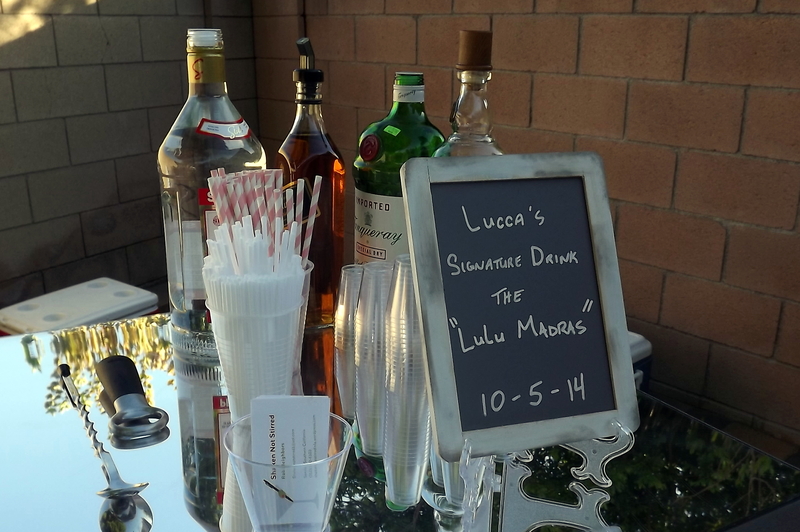 The signature drink the host chose in honor of her daughter’s christening was the Madras. Vodka, cranberry juice, and a splash of orange juice. I also served a lot of Johnny Walker Black Label, and Stella Artois beer. When I’m not busy behind the bar I try to help keep the tables cleared of cups and bottles. This is something I have just been trained to do over the years working at fine dining establishments. The hosts and guests always seem to appreciate that. Next weekend I have a wedding to bartend in Temecula, and am in negotiations to bartend an anniversary party the following weekend in Palmdale. I’m coming up on a year anniversary myself of when I quit my full time job, and I must say I am loving every minute of it.